RANGPUR, Bangladesh, Apr 9 2018 (IPS) - Most migrants to Europe, Australia and the United States from Rangpur in northern Bangladesh leave home at a young age and return when they have just passed middle age. Intensely connected and immersed in family bonds and Bangladeshi cultural values, they tend to return to their birthplace despite obtaining citizenship from a second country. For them, going to these far flung places is about working hard to save money. And in the end, they want to come back home. Many are now well off and have enough funds to invest in business ventures in Rangpur and in Dhaka, the capital of Bangladesh. This IPS correspondent recently met two such returnees – Rakibuzzaman and Golam Sarwar Habib. Both had migrated to Belgium in their youth and have now returned to Bangladesh in their middle age. Both of them enjoy dual citizenship of Bangladesh and Belgium. The stories of Rakibuzzaman and Habib tell us that wherever migrants go, they are looking for better incomes mainly to look after their families back home. Many return with newly acquired skills and invest in the economies of their home countries. Their contributions to host and home countries are immense and help economies on both sides. Rakibuzzaman, 54, of Senpara area in Rangpur city, 300 km north of the capital, now runs a large restaurant and a readymade garments shop in Dhap area of the city. Rakibuzzaman spoke to IPS about how he passed his days in anguish and agony in Belgium without his parents and relatives who he left behind in Bangladesh for more than twenty years. The third of six siblings, Rakib was brought up in an extended family. His father was an inspector in the Bangladesh police force. He completed a Secondary School Certificate (equivalent to O levels) from Rangpur Zila School in 1982. From early childhood, he dreamt about going to a European country with a view to earning money. “To go to a European country was not as difficult in the 1990s as it is nowadays,” Rakib told IPS. He left Bangladesh for Germany in 1986 with a visit visa and stayed there for one year. Then in 1987, he moved to Belgium and worked at a chemical factory in Ghent, a port city in the northwest, for almost four years. “I found business to be more profitable than the job in Ghent and therefore opened up a shop in the city and ran the business profitably for about 17 years,” said Rakib. Rakib’s mother eagerly waited for him to call at the house of a neighbor every weekend. “I felt the absence of my parents and relatives badly during my stay in Belgium,” Rakib said, adding that he was always anxious to get some news on Bangladesh every day but Bangladeshi newspapers were not available in Belgium. The Belgian government confirmed his citizenship after four years of living there. After getting his passport, he traveled to Bangladesh to meet his parents and relatives. “I can’t explain how I felt on the day I arrived in Bangladesh from Belgium in 1996. On arrival at Saidpur airport, I wished I could kiss its soil,” said Rakib. Rakib could not bury his mother nor his father after their deaths within a span of ten years. In both cases, he arrived at his home in Rangpur city a week following their deaths. And in Bangladesh, like in many countries, those of Islamic faith must bury the departed within 24 hours. It is his greatest sadness in life that he could not be there to bury his parents and Rakib says he still haunted by guilt. In 1998, he married Momotaz Zaman of Rangpur and managed to organize her travel to Belgium after three months. They now have two children, Sayeduzzaman Rayan and Raina. Though the children are citizens of Belgium, they have been brought up in Bangladesh. “My son Rayan completed A-level with grade A in three subjects from North-West International School (English medium of instruction) under British Council in Rangpur this year and daughter, Raina is doing her O levels from the same institution,” Rakib said. Rayan is now looking for a university in Europe for graduate school. “My wish is that they should come back to Bangladesh after getting higher education from abroad. Because Bangladesh has progressed economically. If the government keeps the national growth at the same rate, the country will be upgraded to a rich country in the next 20 years. What we need now is good policies and good governance from the government side,” Rakib concludes. According to the International Organization for Migration (IOM), about 500,000 people migrate from Bangladesh to work abroad each year. Migrant workers collectively contribute about 7 to 8 percent to the country’s total GDP in the form of remittances, a significant contribution to the nation’s growth and development. An IOM study in 2016 found that on average, only 31 percent of those who leave the country obtain employment in skilled occupations. Most migrants lack training and very few have qualifications recognized by host nations. IOM says Bangladesh’s National Skills Development Policy 2011 addressed many of the problems faced by migrant workers by encouraging training institutes to be labour market responsive, assure quality training, provide standardized assessments and certification and to adopt a National Technical and Vocational Qualifications Framework with clear levels which translate into recognized qualifications in foreign countries. Golam Sarwar Habib, 56, of Khalipara in Rangpur left Bangladesh in 1991 after graduating from university when he was 27. He went to Belgium directly. At 35, Habib married a Belgian woman and became a citizen of Belgium by dint of marriage. Habib chose not to disclose his wife and son’s names to IPS. “My wife and two sons often visit Bangladesh but do not stay here for more than two weeks at a stretch,” he said. 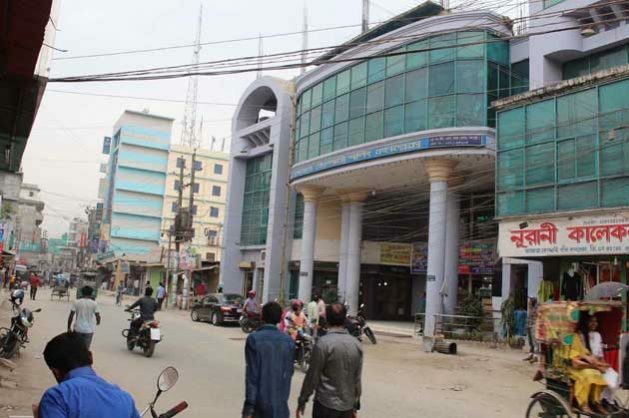 Habib purchased a shopping mall named Jahaj Company Complex in 2007 in the middle of Rangpur City. There are 120 small shops in the three-storey mall. He leased the shops to some businessmen of Rangpur. In return, he gets a handsome amount of rental money. Habib spends six months in Bangladesh each year and six months in Belgium. He still runs his business in Ghent. “The information technology has advanced so far that I can oversee my business in Belgium even from Bangladesh,” he said. Like Rakib, Habib says the well-being of his parents and relatives is very important. He said he is deeply saddened when he learns of deaths of his near and dear ones while he is not living in Bangladesh.